After losing couple of lethal weapons from their fast bowling armory in Usman Khan Shinwari and Junaid Khan. Keeping in mind seaming friendly conditions and weather of New Zealand, Pakistan think tank needs to find some good replacements for upcoming series in New Zealand which will start from 6th January 2017. First three spots almost secured by Mohammad Amir, Hassan Ali and Rumman Raees. 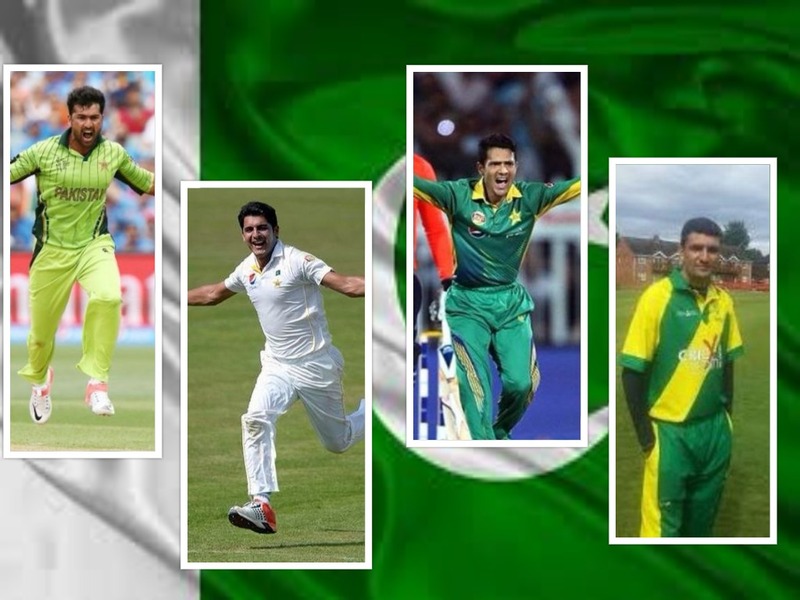 PCB will be needing at least two more fast bowlers to complete group of 5 fast who can rotated through the series in black caps territory. Let’s look the candidates who are available for selection and trying to secure a seat on the plane which will carry Pakistan squad to New Zealand. An aging fast bowler with improved fitness. Among the top 10 fast bowlers almost in all the domestic competition in which he has featured during the last couple of years. Last played an ODI for Pakistan 14 months ago and out of reckoning since a year. His performance always find acknowledgement but it was his fitness which resulted in his ouster from the team; but now he has already passed fitness test and waiting for his final crack at the international level. An all rounder with great potential and being on the fringes to get a recall in national team from some time. Yamin topped the bowling charts in recently concluded Pakistan Cup in which he took 9 wickets in 5 matches. Aamer Yamin recalled to Pakistan side in October to play against Srilanka in UAE but didn’t get a chance to play. He can be useful with his medium pacers in seaming conditions of New Zealand. He also had his name in record books after taking wicket with his first ball in T20 internationals. One of the unluckiest cricketers of modern times. Have an outstanding record in domestic circuit both in first class and List A cricket but unable to catch selectors eye. His name always pops up whenever PCB selection committee sit down for squad selection, but despite analyst and social media pressures he is yet to impress selectors. It will be a good time for selectors to get him in and try out this great talent. Another budding fast bowler Mi Hamza wafting for his chance in the wings. He was picked for test series against Srilanka this year, but didn’t get a chance to settled bowling unit. He has impressive record in longer format as compared to list a cricket but he can be tried because of his young age and talent which was already spotted in him. There are other options of Wahab Riaz, Mohammad Asif and Mohammad Irfan but it look unlikely that PCB would opt for any of these tested talents.